S&S Roofing is a premier Park City roofing contractor specializing in residential and commercial roofing. Our roofing specialists are pleased to deliver top quality service to property owners throughout Park City, Salt Lake City, Kamas, Heber, and the nearby areas. As the top roofing contractor Park City can turn to for topnotch residential and commercial roofing services, S&S Roofing’s main goal is to help you get the most out of your roofing system. We work with metal roofing, single ply membrane, built up roofing, asphalt shingles, cedar shingles, and more. S&S Roofing is dedicated to providing the highest level of workmanship and customer service. As the roofing contractor Park City property owners have trusted since 1981, we have an outstanding track record to back up our claims. Our licensed, bonded, and insured roofing specialists have over 35 years of combined experience in the Utah roofing industry. 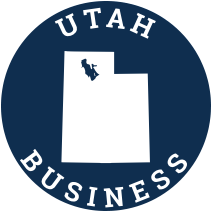 We are also accredited by the Utah Better Business Bureau with an A rating. In addition, for your protection, S&S Roofing makes sure that your roofing is protected by the best factory warranties available – GAF, CertainTeed, Durolast, Tamko, and more. Our highly skilled roofers use only top quality materials to ensure a trouble-free roofing system that will last for years to come. If you’re on the lookout for a Park City roofing contractor who can give you your money’s worth in services and materials, count on S&S Roofing. Your satisfaction is our top priority.